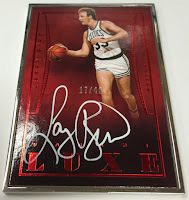 Arriving Wednesday at Sports Cards Plus, a.k.a. 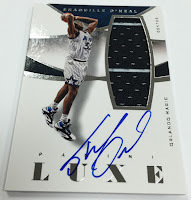 The Super Hit Factory is possibly the most limited hobby basketball product since 2012-13 Flawless Basketball. 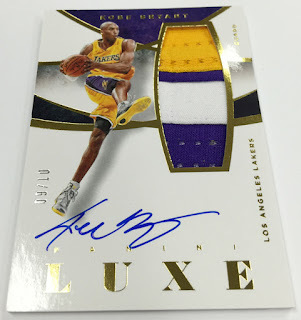 Each four-card box of 2014-15 LUXE Basketball delivers three On-Card Autographs and one Jumbo-Piece Memorabilia Card. With LUXE, think an economical version of Flawless. 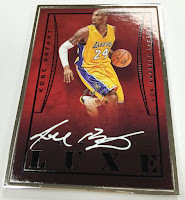 2014-15 Flawless is currently selling at $1660 per 10 card box or $166 per card. 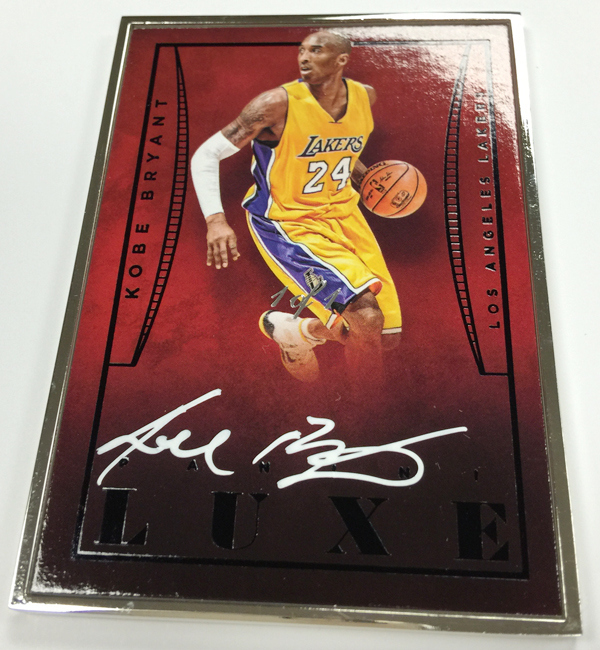 LUXE at $280 per box is $70 per card. 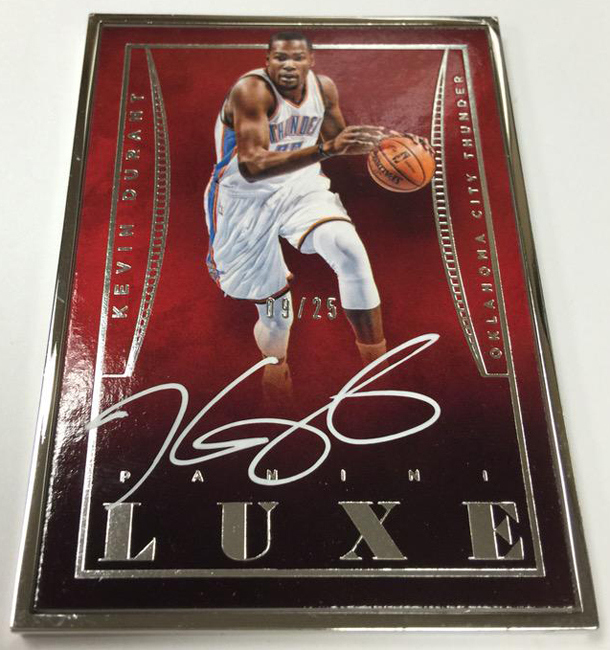 I am not saying that LUXE cards are as good as Flawless, but LUXE does offer super-premium cards for $70 per card. 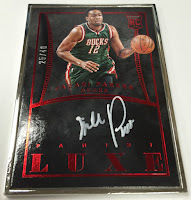 The product also features the first metal-bordered cards in Panini America's history, "LUXE Autographs." 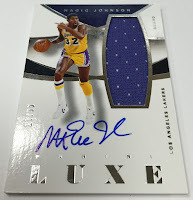 Every card produced for LUXE will be numbered to 99 or less and will include either an on-card autograph or a jumbo piece of memorabilia or both. 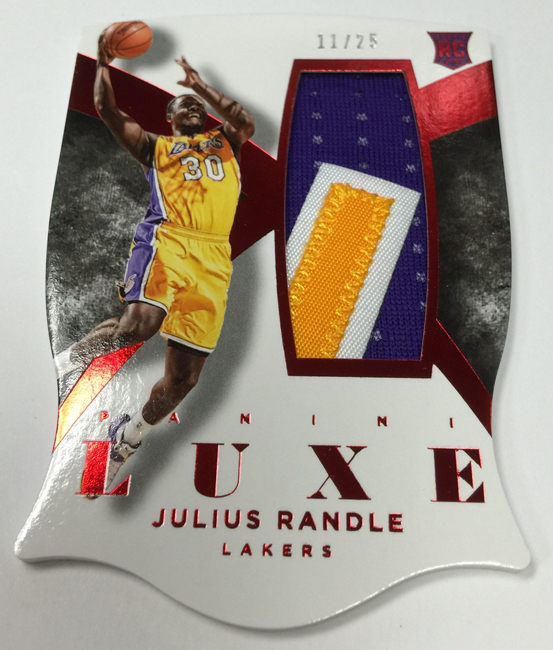 Look for dynamic die-cut autographs featuring the NBA's biggest stars. The LUXE Autographs insert features the first metal-bordered cards in Panini's history and on-card autographs from some of the game's top rookies, current stars and all-time legends. The Memorabilia Die-Cuts Prime insert boasts a rainbow-array of die-cut prime memorabilia cards numbered as low as One-of-One. 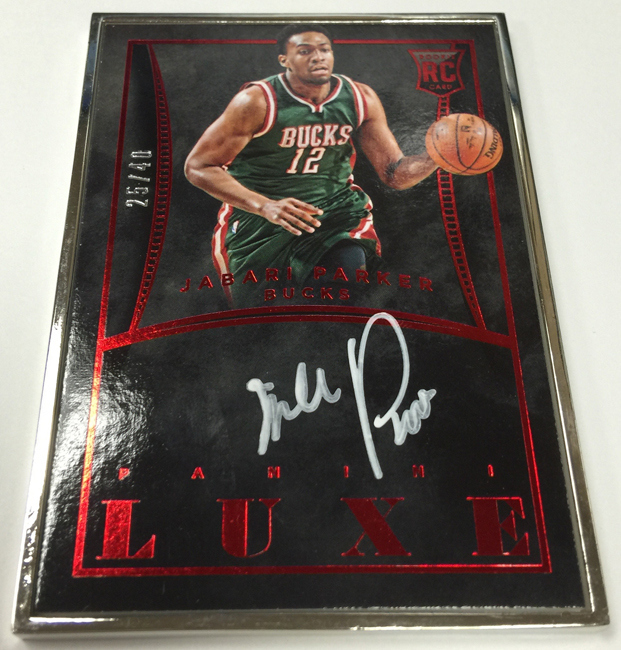 Super-Premium-Low-Production Basketball Cards, 2014-15 LUXE Basketball will be on everyone's want list. 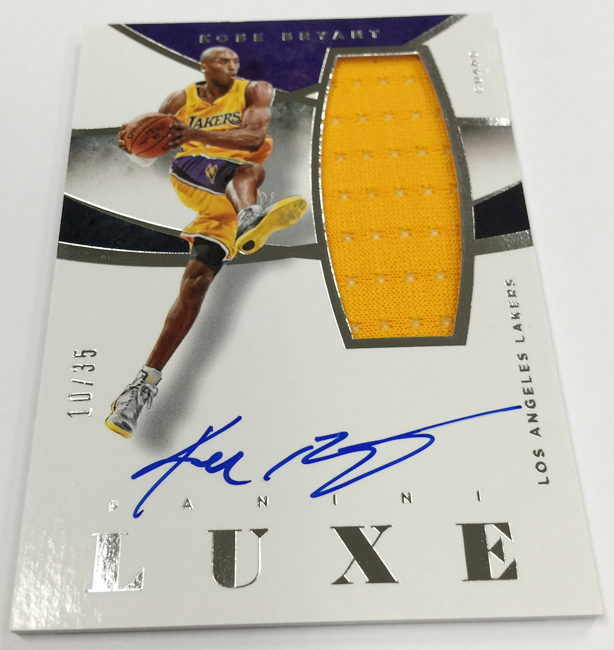 LUXE will quickly disappear off every hobby shop's shelves. Reserve your box of 2014-15 LUXE Basketball for only $280 TODAY. Our first box Group Break will be Wednesday, September 2nd at 6:00. Reserve your Spot ($75.95) TODAY. Every spot gets one random card from a factory sealed box.